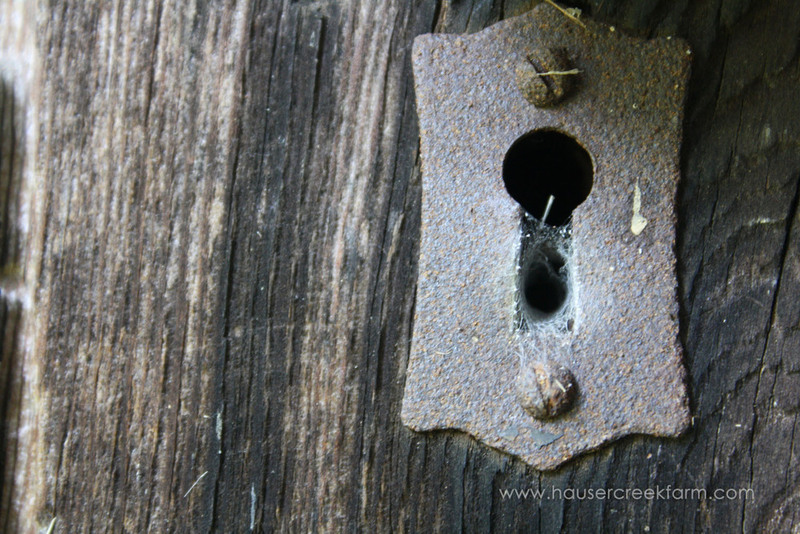 The 55-acre farm, known as "Hauser Creek Farm", with its century-old house, has been in our family since the 1950s. The land includes open fields, meadows, wooded hillsides, massive boulders, and a stream. From an early age, Alethea Segal worked alongside her father, helping milk his herd of Holstein cows on the family farm. After college, she became a registered dietitian and food editor. For a time, she lived outside of North Carolina but eventually settled in Wilmington, NC, where she met her husband Bob. 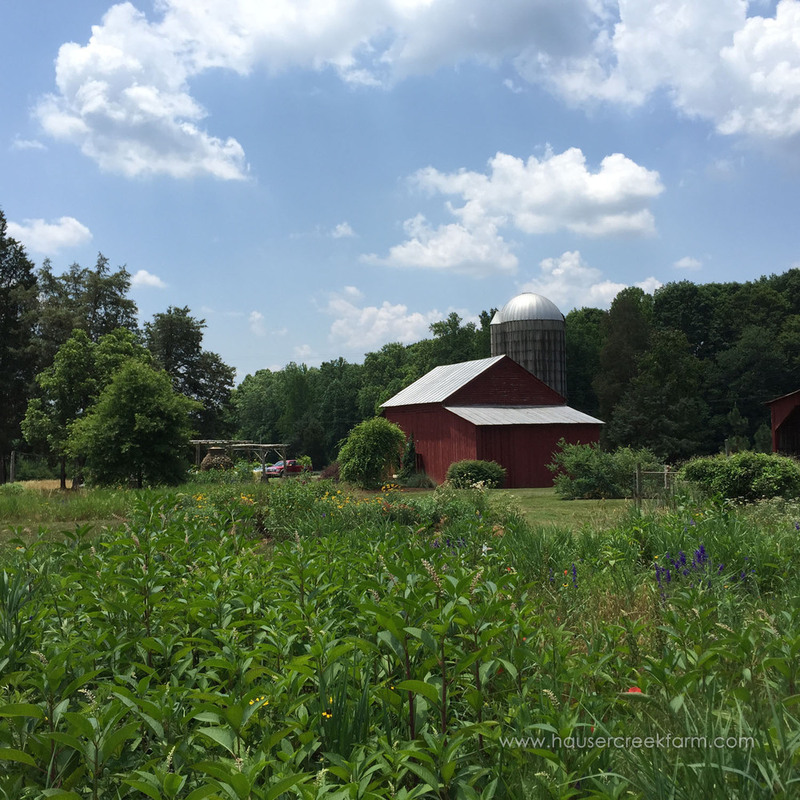 In the nineties, Alethea and her family moved to the triad area and, having been deeded the 55 acres by her parents, she began to feel the pull of her rural roots. The family developed a plan for preserving the old, run-down house and buildings, which included a cattle barn and granary. See and read more about the Horn House here. The family also decided to remove the cattle from the pastureland. With a goal of attracting wildlife to the property, warm-season native grasses, forbs, and wildflowers soon replaced the existing fescue. 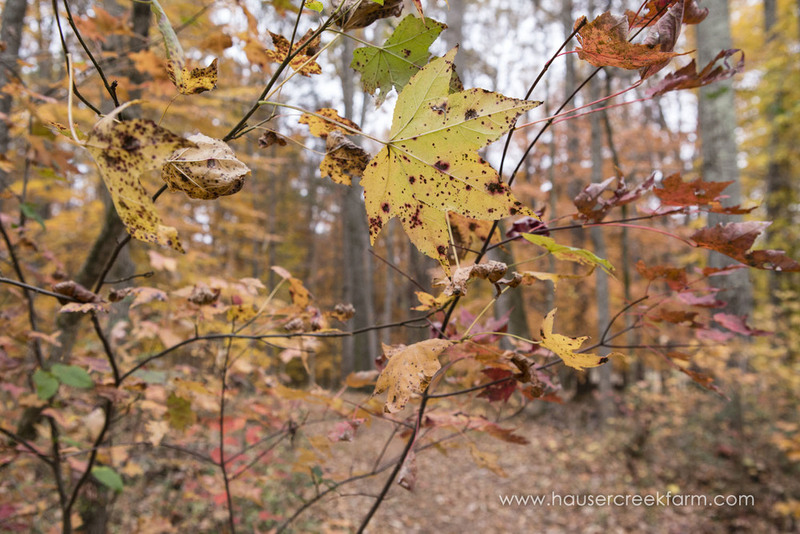 The beloved land became a refuge for deer, wild turkey, quail, songbirds, and other small game. Read more below the gallery. A multi-year restoration project that started in 2011 restored the natural meandering stream. We take pride in the fact that Hauser Creek and the wetlands around it will provide vital habitat for wildlife and a natural filtering system to help maintain water quality for future generations. 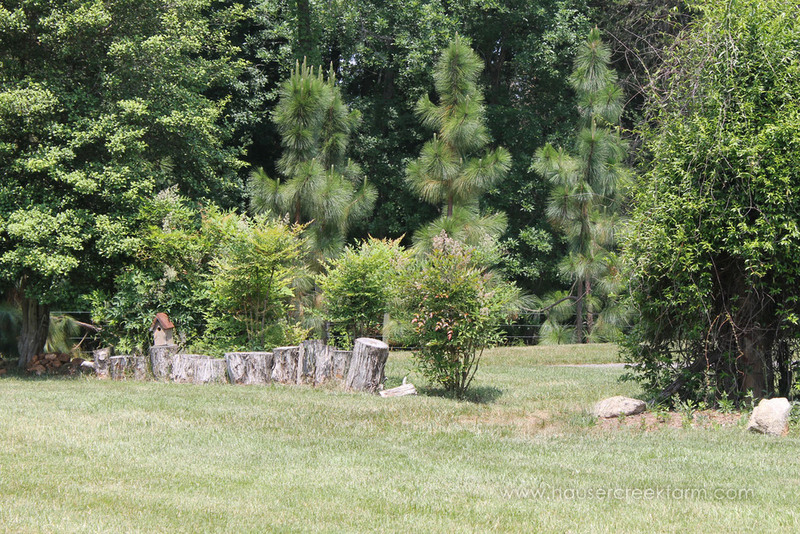 We are also proud that the farm is a certified wildlife habitat by the National Wildlife Federation. 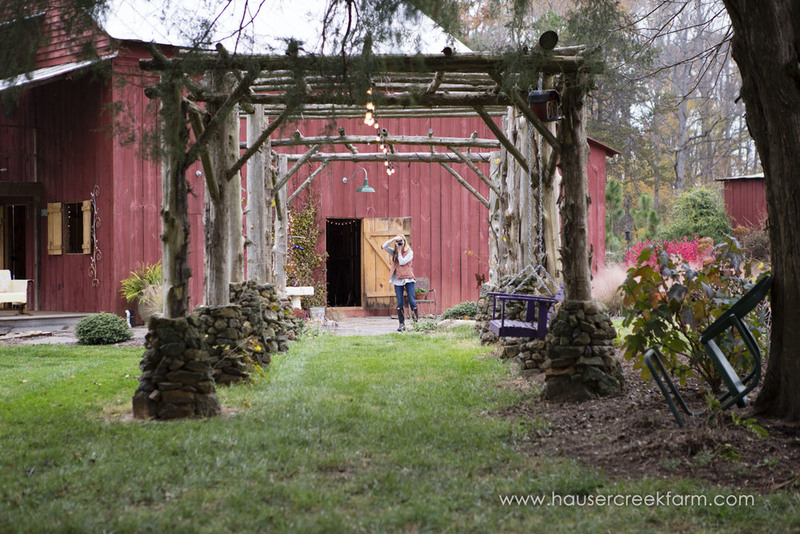 For several years, Hauser Creek Farm's primary crop was lavender. We have been proud to offer as many as 5 varieties at the height of our work cultivating the fragrant plant. You will find much evidence of this lavender focus throughout this site. 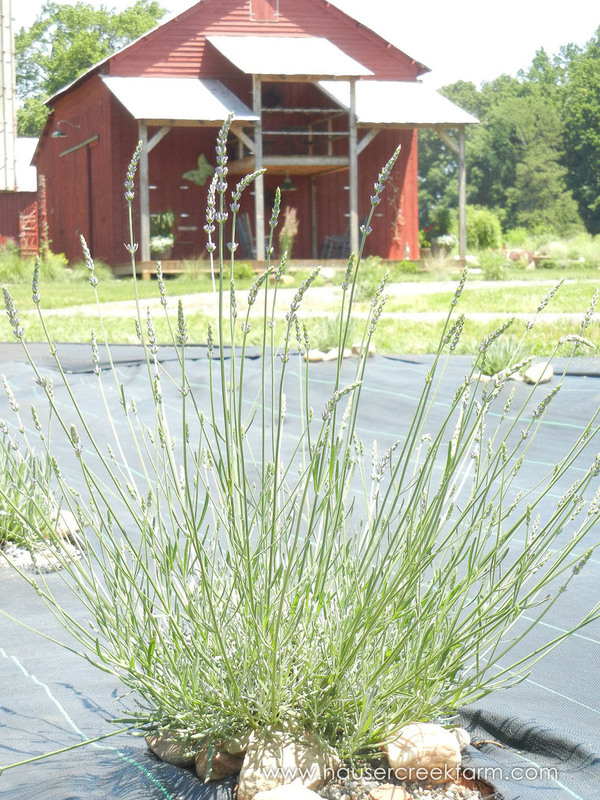 Currently, lavender is only one of many flowers growing at Hauser Creek Farm. We sell primarily to florists in the Piedmont Triad and to brides/individuals upon request, according to what's on hand.